Fitted cut, fitted leg. 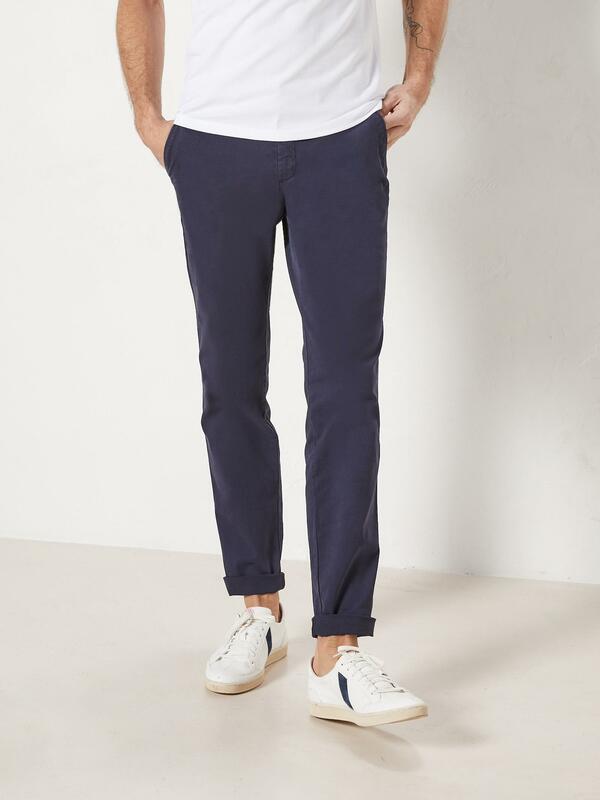 With its close-to-the body fit and range of colours chosen from the most popular, these are the most contemporary chinos. And also the most comfortable with their soft stretch fabric. Waistband with belt loops, zip and button. 2 slant pockets. 2 piped button pockets at back. Inside waistband with biais tape finish. Inseam 85cm, hem width 17cm approx. The fabric's elasticity adds unequaled comfort.